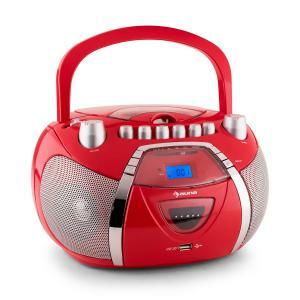 The Auna Radio Recorder is a versatile companion for music lovers. 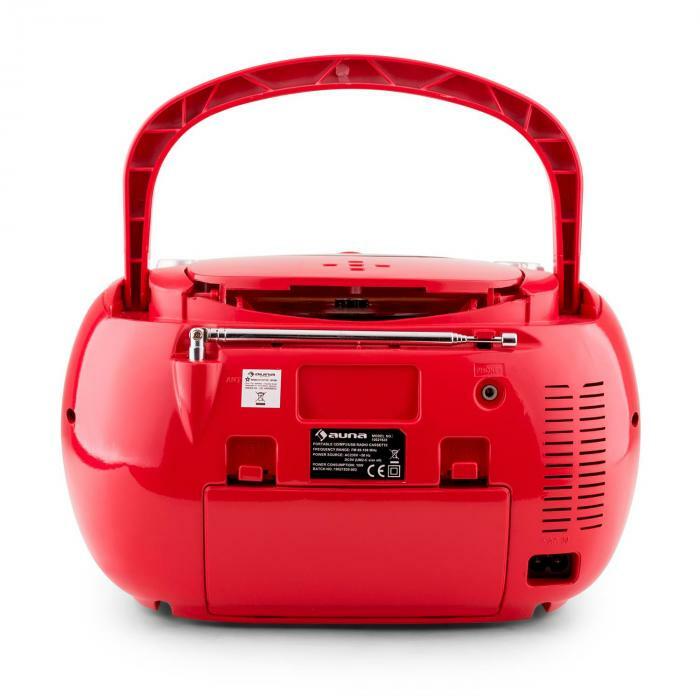 Not only can this shapely boombox be used as a stationary kitchen radio, its possible battery operation makes it the perfect portable music station when you are on the go! 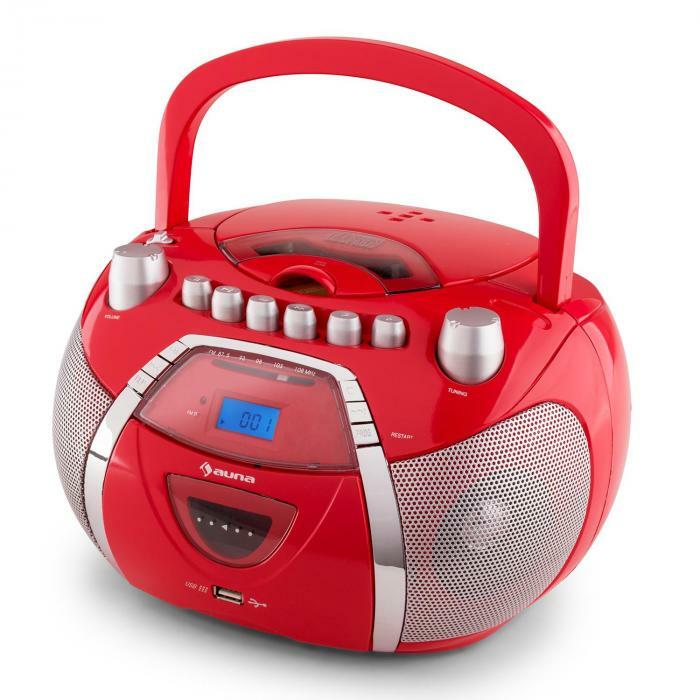 In addition to classic components such as a cassette deck and radio receiver, the Auna Radio Recorder allows for playback from USB drives and many MP3 players via the convenient USB port. 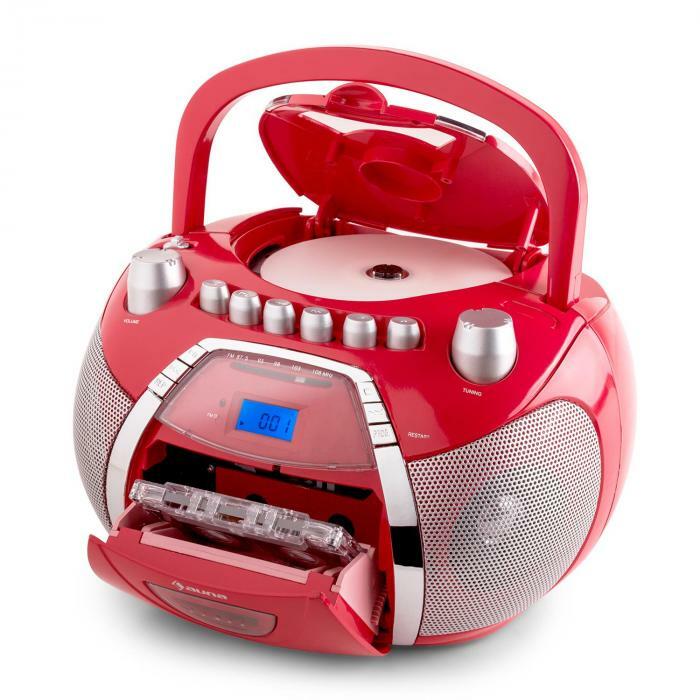 The CD player reads standard CDs, CD-Rs, CD-RWs, and even MP3 CDs. 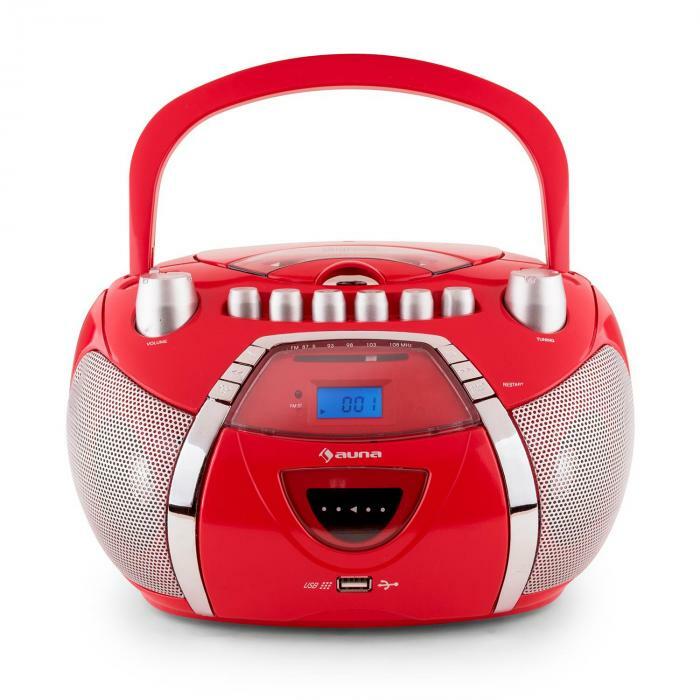 The programming function allows you to set any playback order you prefer - ideal for custom playlists! 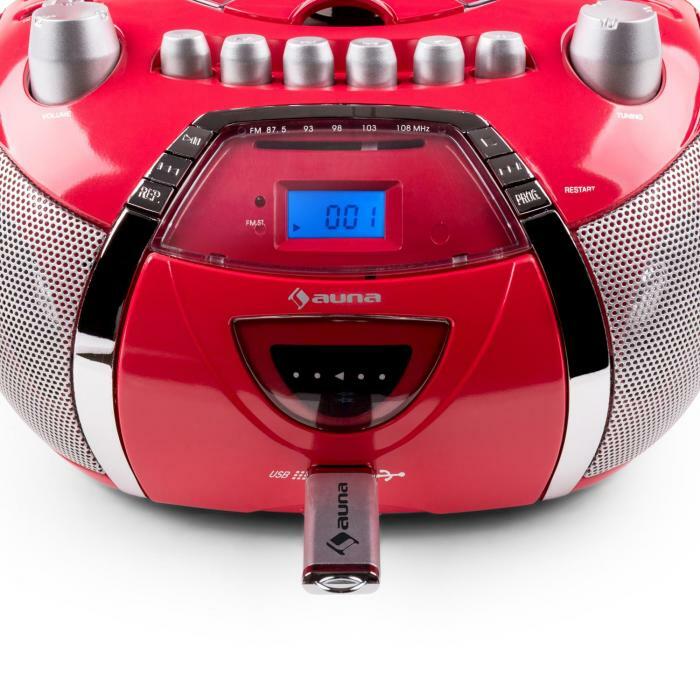 When you've listened to your entire CD and MP3 collection, the Auna Radio Recorder is ready with its FM radio tuner, making new music and news available anytime and anywhere!